While garage door springs are an essential part of your door’s operations, these hardy little components often go overlooked when they require maintenance or repairs. A broken spring can lead to imbalances or the complete failure of your doors however, and so close attention should always be paid to their condition. A broken garage door spring could come as a result of many types of damage. They could become rusted due to damp or coastal climates, weakening their integrity over a short period of time. Galvanic corrosion which comes about from contact with electrified metals could wither away their strength, and then there are the ever debilitating effects of wear and tear to contend with. Since springs operate under immense pressure, wear and tear is all but inevitable in their extended use. In either of these situations, leaving the problem to worsen may lead to further damages being suffered by your door, could leave it imbalanced, or could even lead to its ultimate failure to operate. 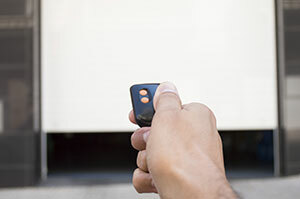 Since garage doors are designed to operate with two springs on either side of the door, it is important to ensure that both of yours are always in good condition. When a single spring fails, it can be tempting to continue using it with only a single spring. This could lead further damages being suffered from your system, and so should be replaced as soon as possible to ensure that your door is always perfectly aligned. When your garage door springs are broken, having the problem rectified is as simple as calling for assistance from a qualified and experienced technician. Give us at Garage Door Repair Laguna Beach a call today to find out more information about our services, to ask us for advice or to receive a quotation.